More interesting than Weiner’s weiner is Weiner’s wife | can i just finish my waffle? Syed Zainul AbedinVARIATIONS: Syed, Sayed, Zainul, Zainal, Zaiunul, Abedin, Abedīn, etc Huma Abedin’s father, Syed Zainul Abedin, was born in India, in 1928 [prior to the partition]. It is possible that he was named for the fourth Imam, Ali Ibn el Hussain, Zainul Abedeen, also known as Zayn al-Abidin. Syed Zainul Abedin’s undergraduate education was at Aligarh Muslim University, and his graduate education was at the University of Pennsylvania, where he received his PhD, in American Civilization, in 1974. Saleha Mahmood AbedinHuma Abedin’s mother, Saleha Mahmood Abedin, was born in [what is now known as] Pakistan, probably in 1940. There is also a copy of her PhD dissertation, on microform, at Western Michigan University [which lists her year of birth as 1940]. 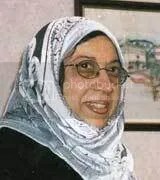 For many years after the family resettled in Jeddah, Saudi Arabia, Saleha Mahmood Abedin was a Professor in the Department of Sociology, at King Abdul Aziz University. Posted: 06.02.11 @ 11:50 p.m.
That’s right. That’s just the beginning of strangeness.